Grass roots engineering is one of our biggest strengths, and it’s something we’re proud of. It’s the tricky stuff that has got us where we are today, because no one in our team would ever say ‘sorry, that’s outside of our capabilities’. We may not always be in the newspapers, because we don’t do the glamorous jobs – but we know that the work we do assists some of the biggest industries in New Zealand to continue doing what they do. And that’s important. Our people are our biggest asset – and while we all have job titles, we prefer to just all muck in and get the job done. No matter what it takes. Hutec is named after founders Jason and Rozelle Hughes (as in Hughes Technical) and began in 2012. From there we’ve grown significantly, and now have three ‘base camps’ here in New Zealand – Kawerau, Taupo and Whakatane. But that doesn’t define us, as we can (and do) work nationwide, throughout Australia and into South East Asia. Our core clients come from pulp & paper, energy (geothermal & hydro), wood products and processing, dairy and large industrial organisations. However no job is too small for our team, whose favourite past times include tinkering with machinery in their own sheds at home. “At Hutec, our people do what they love, and our customers love what we do. We take customers’ opportunities, problems, challenges and crises, and we sort them; we make difficult things simple and we do it all transparently. There isn’t a secret formula for what we do: it’s that we have a talented and motivated team, backed by good planning, health and safety excellence and an appetite for plenty of hard work. I have a background in maintenance management, manufacturing and major refurbishment of mechanical machinery in industries throughout New Zealand, Australia and further abroad. I specialise in shut management, project and construction management and technical refurbishment, as well as providing technical support and strategic vision to the company. I have over 25 years’ experience in pulp and paper, geothermal and hydroelectric generation, wood products and processing. I am responsible for delivering the strategic objectives for the Hutec Group and the day to day running of the company. I have a background in professional project management, and various technical qualifications, including a Doctorate in Engineering. I also have experience in the energy and pulp and paper sectors, including seven years with Mercury NZ Limited in technical, commercial and management roles and eight years with Fletcher Challenge and Norske Skog. I am the Business Manager for Taupo, looking after the business unit and mentoring staff. I also investigate and develop new business opportunities, alongside liaising with new clients and maintaining relationships with our current clients. My focus is to ensure Hutec’s projects are delivered safely and to customers’ expectations. My passion is in critical-path technical work, including major shuts and projects. I have a background in machining, with over 20 years’ experience in industrial manufacturing, including seven years in workshop management. I also have experience in power generation, pulp and paper, wood products and processing and steam turbine inspection and refurbishment. 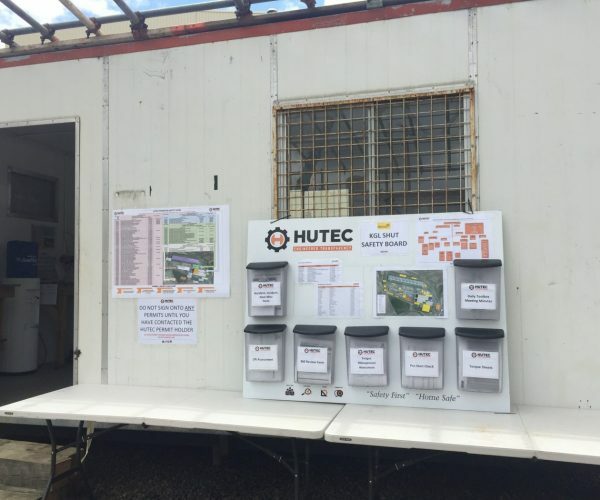 I am responsible for the delivery of Hutec’s maintenance contracts in Kawerau. My 10 years’ in supervision and management roles forms part of 22 years’ experience within the engineering industry. I am also a qualified ASME welder and is skilled in quality assurance and compliance processes. 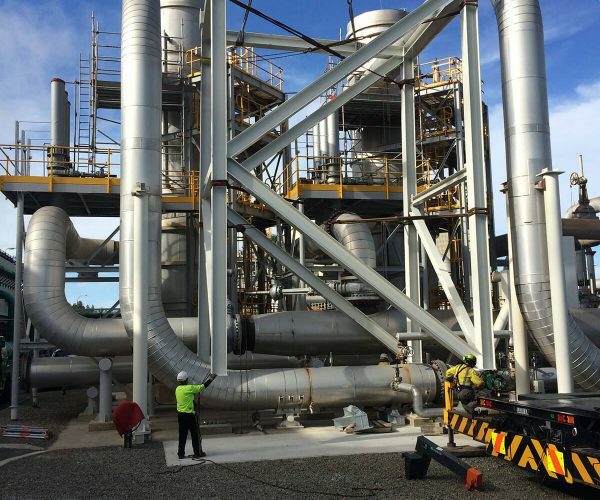 I have successfully project managed various power station and mill outages and supervised the successful installation of the steam separation system at the Kawerau Power Station. I am responsible for the process measurement, control systems, instrumentation and electrical services for Hutec’s customers, including the commissioning of various geothermal power plants and wood processing mills. I am a indentured Instrument Technician as well as a registered Electrician and have 30 years’ experience Honeywell, Rockwell, Bailey HMI, DCS and PLCs amongst others, and have industrial control experience in the pulp and paper and geothermal energy industries. I am responsible for the planning and resource management of the day to day work as well as larger projects and shuts. I have over 10 years’ experience as a planner; in pulp and paper, power generation, mining and heavy industry (both in New Zealand and internationally) and am motivated by working within a highly skilled team to accomplish the successful completion of jobs and projects for Hutec’s customers. I am an experienced Mechanical Engineer with a high level of design and project management skills. My technical design background allows me to provide innovative and efficient solutions to complex engineering issues. My experience includes the design and project management of the Te Ahi O Maui (TAOM) Geothermal Steamfield, as well as various geothermal, hydro, and pulp and paper projects. I am passionate about quality assurance, in particular non-destructive testing and welding inspection, and am qualified through the Certification Body for Inspection Personnel (CBIP). I’m also qualified in most of the welding techniques and codes and have over 20 years’ experience in power generation, pulp and paper, wood process and steel manufacturing. I am responsible for the management of Hutec’s systems and processes as well as project planning and health and safety compliance. My eye for detail and passion for continuous improvement ensures Hutec delivers to its client’s requirements each and every time. I have over 16 years’ experience with comprehensive CMMS, maintenance management, planning, health & safety, budget management and relationship management in the energy and pulp & paper industry sectors. I am a shut and project planner, supervisor and manager. My projects cover all the industries Hutec are involved with including pulp, paper, timber processing and power generation. I design new equipment or reverse engineer existing items for manufacture – with or without improvements. Additionally there may be site layout drawings or other more generalised drawing jobs required. I also do finite element analysis on 3D models to ensure items are strong enough. I project manage or oversee jobs that I design, through the quoting and the final installation of the item. Provide guidance and advice for others who also do drawing work for Hutec. I am Hutec’s first point of contact for turbine and rotating equipment services. I am an accredited HPC (Turbo Care affiliated) turbine technician and have successfully managed over 20 turbine shuts and refurbishments. I also have over 16 years’ experience with gearbox manufacture and overhauls, from gear cutting and casing manufacture, to gearbox inspection and root cause analysis. My industry knowledge extends to pulp and paper, power generation, food and wood processing, and complex overhauls of outlet device gearboxes and dewatering presses. I look after a range of tasks at Hutec. Currently I am taking care of the marketing side – such as the new website and company brochures. I am also responsible for the administration duties for the Hutec Taupo office, which includes assisting with payroll and providing assistance to the CEO. Variety is the spice of life, and this is something I most definitely have in my role at Hutec. 1 song written and released for me. I am responsible for Hutec Group’s business administration, overseeing the day to day administration of the Kawerau office as well as the management of employment documentation, supervision of payroll and company wide accounts. I have 25 years experience as a Personal Assistant.